Sanibel Islanders have a passion and sincere love for our sanctuary island. We strive to keep our islands the way nature intended and respect our birding wildlife. 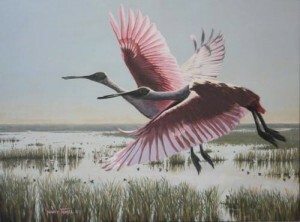 Not only can you spot over 250 bird species at the J.N. “Ding” Darling National Wildlife Refuge, buy you can discover birds by kayak when you explore our mangrove tunnels, or when you visit the Lighthouse Beach Part at the east end of the island where migrating birds stop and rest! 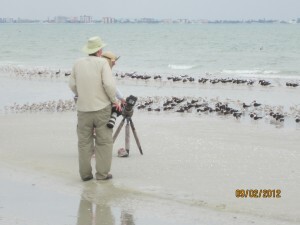 Wild Bird Photographer Arthur Morris has often frequented Sandalfoot Beachfront Condominium to capture many birds in flight. Which resident bird species will you spot? Snowy, great and reddish egrets? Blue Herons? Black Skimmers? Great Horned Owls? Perhaps a Bald Eagle? Photographer sets up for a shot on our stretch of beach. We humbly ask you to remember, when you encounter birds, that Sanibel Island is their sanctuary and refuge. Our natural impulse may be to get as close to them as possible, when in fact, we need to give them their space. Never hand-feed any wild birds, includes gulls, as it is prohibited on Sanibel Island.